It seems there’s no end in sight for my Christmas creations this year….Hot on the trail of the peanut butter cups, I decided I had to have some White Christmas. Well, that’s what we call it back in Australia…not sure if anything like it is made around the world. But you see there’s a problem. I don’t really like the ingredients of the traditional White Christmas and I’m not talking about coconut and the milk powder, I’m talking about the glace cherries, candied citrus and sultanas. So, I figured out a way to enjoy all my favourite parts of this old fashioned slice, without all the sickly sweet and bitter fruits of ye-olde times. 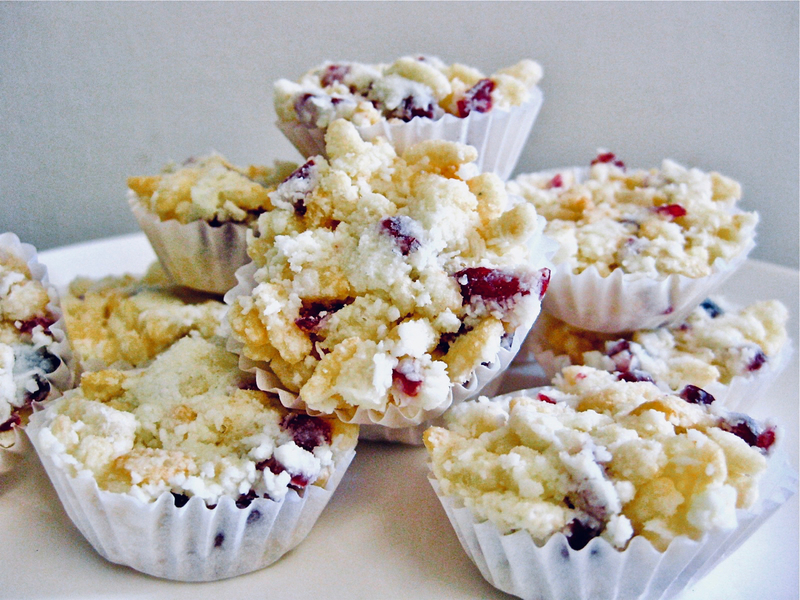 This version of White Christmas replaces all those old-fashioned, over-sweet dried fruits with the cranberries; perfectly tangy to offset the already sweet treat, the red berries also look delightful in the white crispy mound of crackles. Mix dry ingredients in a bowl and then add copha. Spread into a slice tin or place into mini-muffin patties and refrigerate till set.